Secretary of State Rex Tillerson said the United States is in direct contact with North Korea and is looking into whether Kim Jong Un is open to talks. The comment, made during a brief trip to China, was the first time the Trump administration acknowledged direct communication with Pyongyang. “We ask, ‘Would you like to talk?’ We have lines of communications to Pyongyang. We’re not in a dark situation, a blackout. We have a couple, three, channels open to Pyongyang; we can talk to them; we do talk to them,” he said. The president’s latest tweets, a day after Secretary of State Tillerson confirmed the U.S. is in contact with North Korea. This is a pretty cavalier way to announce a foreign policy move with potentially massive implications. Secretary of State Rex Tillerson was on the verge of resigning this past summer amid mounting policy disputes and clashes with the White House, according to senior administration officials who were aware of the situation at the time. Ah, the classic non-denial denial. While it’s unclear if he was aware of the incident at the Pentagon, officials said Vice President Mike Pence counseled Tillerson, who is fourth in line to the presidency, on ways to ease tensions with Trump, and other top administration officials urged him to remain in the job at least until the end of the year. Secretary of State Rex Tillerson symbolically kissed the ring of President Trump on Wednesday in affirming his desire to remain in his post, despite reports of sharp friction between him and the White House. But how long will this gesture of loyalty secure his position? Tillerson’s desire to remain on the job is a stabilizing move, at a moment when the United States is locked in a potential nuclear confrontation with North Korea and Trump is headed for a key November meeting in Beijing. Although Tillerson has been a poor public communicator at the State Department, he knows the world and can speak the language of America’s global partners and potential adversaries. His departure now would be widely seen as damaging to America’s already fragile position in a world disrupted by Trump’s erratic policies. The question, as always with Trump, is whether this profession of loyalty will appease what has appeared to be the president’s growing anger with his chief diplomat. For Tillerson, the question is whether, after humbling himself in such a public manner, he can remain an effective and confident representative for the United States abroad. Tillerson’s public discussion of diplomatic channels with North Korea last weekend in Beijing also angered the White House, since it came at a time when Trump was advertising his confrontation with “Little Rocket Man,” his mocking description of North Korean leader Kim Jong Un. Trump was upset that Tillerson hadn’t cleared his comments with the White House. Whether Tillerson’s recommitment to the job is temporary — sufficient to get the president through the Beijing meeting in November, but not long-term — remains to be seen. In a sense, Tillerson faces a paradox: To be effective as secretary of state, he must communicate better with the country and the world; but to maintain the confidence of this prickly president, he must avoid comments that seem to question the president’s personality or policies. President Donald Trump plans to “decertify” the Iran nuclear deal next week, declaring the Obama-era pact not in US interests and launching a congressional review period on the accord, according to two senior US officials. Trump is tentatively scheduled to unveil his plan during remarks a week from Thursday, though one official cautioned the timing could shift. The decision, which was first reported by The Washington Post, stops short of completely scrapping the Iran deal, which Trump railed against on the campaign trail. 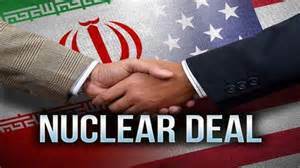 By decertifying the deal, Trump would kick the matter to Congress, which would then have 60 days to determine a path forward. “The President’s team has presented a united strategy that the national security team all stands behind and supports,” she said. This Huckabee Sanders is one stone-cold liar. The nation’s top military leaders stated unequivocally on Tuesday that they believe the United States should stay in the Iran nuclear deal, staking out a position at odds with President Trump’s only days before he decides whether to certify that Tehran is in compliance with the deal. 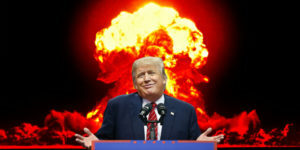 Trump must decide by Oct. 15 if he will certify that Tehran is in compliance with the terms of the multilateral pact under which Iran agreed to give up its nuclear ambitions in exchange for a withdrawal of nuclear sanctions. Since his presidential campaign, Trump has spared no kind words for Iran or the nuclear pact, which he called “an embarrassment” during a speech to the United Nations General Assembly last month. Even if Trump declines to certify Iran’s compliance, Mattis told the lawmakers, Congress did not have to rip up the nuclear deal. Later, in testimony before the House Armed Services Committee, the defense secretary said, “Overall, our intelligence community believes that they [Iran] have been compliant, and the IAEA also says so.” Mattis was referring to the International Atomic Energy Agency, the United Nations watchdog that’s monitoring Iran’s nuclear activity. Dunford repeated his testimony from last week, saying “that Iran is not in material breach of the agreement.” He told Gillibrand, “I do believe the agreement to date has delayed the development of a nuclear capability by Iran. In an Oval Office meeting earlier this month, President Trump gave his top trade negotiator, Robert Lighthizer, an Art of the Deal-style coaching session on how to negotiate with the South Koreans. Trump’s impromptu coaching came in the middle of a pivotal conversation with top officials about whether or not to withdraw from the U.S.-Korean trade deal. Sources familiar with the conversation recounted the exchange for Axios, and the White House did not dispute this account. A number of senior officials and cabinet secretaries were present for the conversation, including Defense Secretary Mattis, Agriculture Secretary Perdue, and Secretary of State Tillerson. At issue was whether the U.S. would withdraw from the Korean trade deal — an action Trump threatened but still hasn’t done. Why this matters: Plenty of world leaders think the president is crazy — and he seems to view that madman reputation as an asset. The downsides are obvious: the rhetoric can unnerve allies and has the potential to provoke enemies into needless, unintended war. Daniel Drezner of the Washington Post believes that the world has already made this assessment. 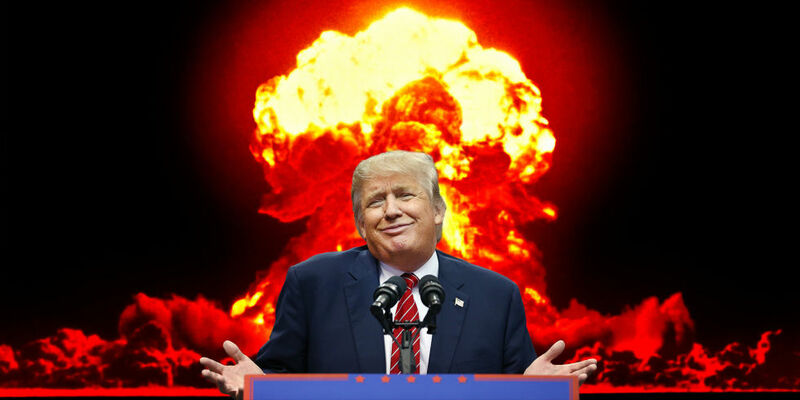 The best hope for peace in Northeast Asia is that North Korea does not take Trump seriously: Trump wants the rest of the world to think he is a madman. Fortunately and unfortunately, the rest of the world thinks he is a blowhard. The Republican senator, who recently announced his retirement, was quite candid with reporters yesterday when asked about reports that Secretary of State Rex Tillerson called the president a “moron” and had to be talked out of quitting. I think that’s right, but it’s also a little terrifying. To hear the chairman of the Senate Foreign Relations Committee tell it, a president from his own party is so unstable, members of his cabinet are the only thing standing between us and systemic, Trump-imposed turmoil. This isn’t how our system of government is supposed to work. Cabinet members are there to help oversee federal agencies and help implement the White House’s agenda, not serve as a national shield against the dangers posed by an unfit president. NB: The caption paraphrases the historical play and film The Madness of King George (1994), George III of England. A U.S. official told BuzzFeed that Tillerson would likely remain in the administration because of his agreement with Mnuchin and Mattis. Previous articleCan an Independent candidate win in Tucson? When Rupert Murdock & Rush Limbaugh are given free reign to dumb down the electorate by spreading lies (big & small) in service of a cruel & miserable failure of an ideology, morons like Deadbeat Donnie & cowards like McConnell & Ryan who refuse to fulfill their constitutional duties by acting as a check on the Executive Branch are what you get.